As a blogger, I love connecting to people over social media that have similar interests and tastes as I do. My favorite social media platform has quickly become Instagram (follow along @brightonabudget). I enjoy browsing to see what’s out there, especially style-wise. And that’s how I came across Paige at Style This Life. I really love the tassel accessories that everyone has been sporting, and Paige’s jewelry just caught my eye! 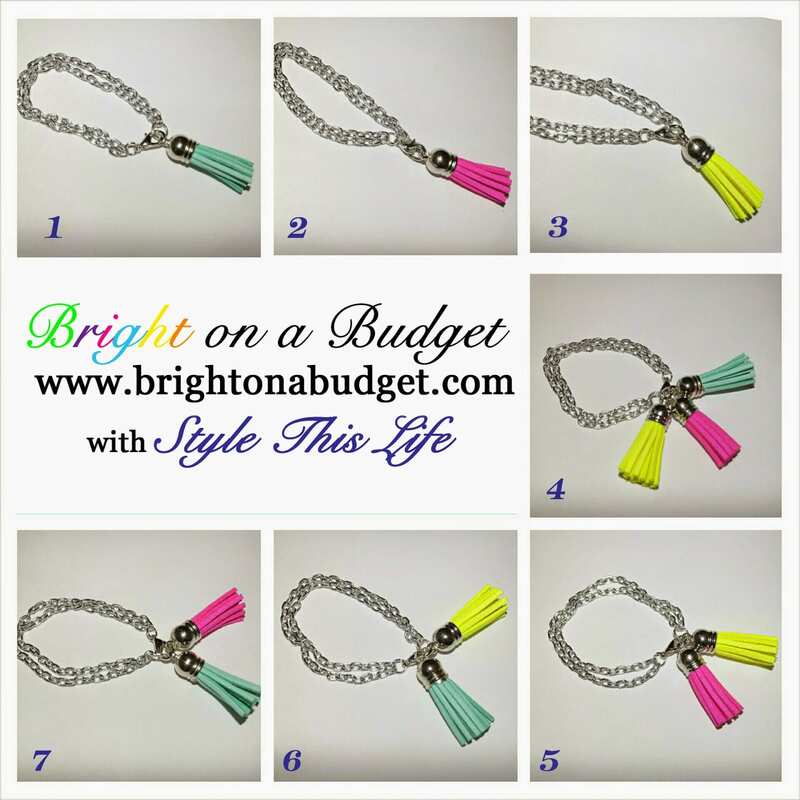 Style This Life is an Etsy shop that has all kinds of customizable jewelry that is very budget-friendly. When most people think of customized pieces, they immediately assume that they would be expensive–Paige’s shop is not! I decided upon a bracelet. 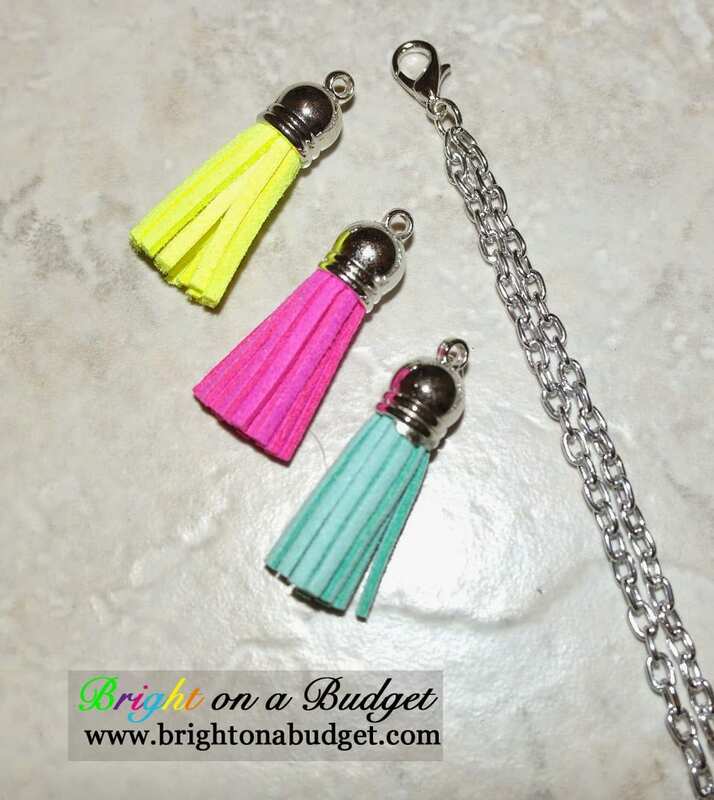 You can customize everything, including the length of the bracelet, metal, type of chain, and colors of tassels! I have a tiny wrist, so I requested a 6.75″ length. 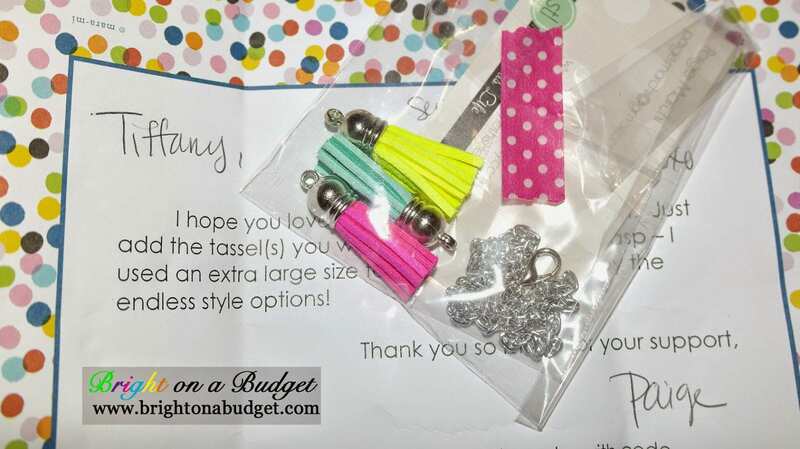 I received a bracelet and 3 tassels for only $11, which included shipping! I love that not only did I get to customize everything, but that the look is totally interchangeable! I can mix and match different tassels to get different looks. With the 3 tassels I ordered, I can get 7 different looks! BRIGHT DEAL: If you like what you see, head on over to Style This Life and use code BEBRIGHT for an extra 15% off! 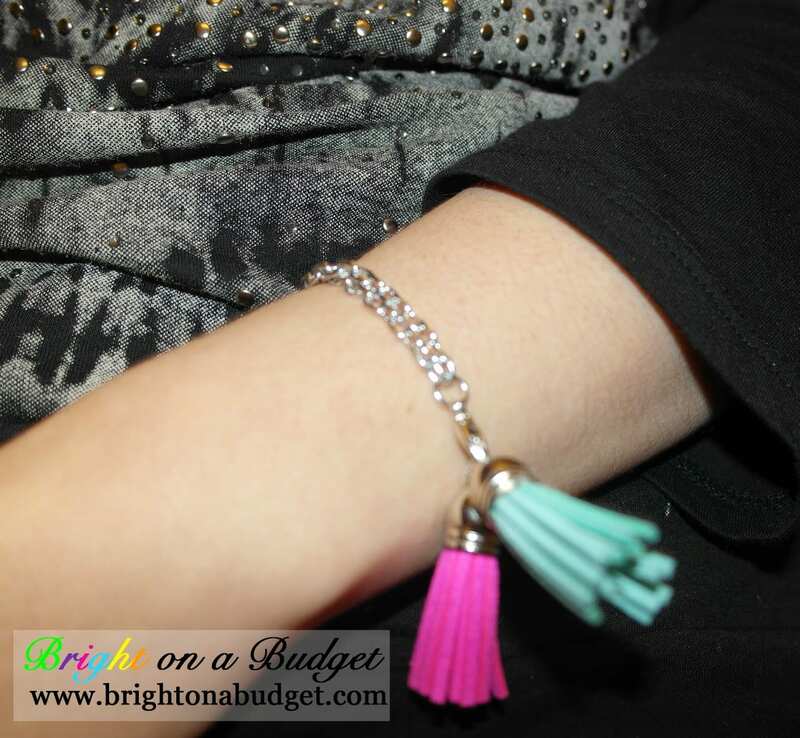 I'm loving tassel bracelets. You chose such fun colors! Such cute bracelets, Tif! I'll definitely be looking into these! If you're interested in participating, I nominated you for a Liebster Award. Check out my blog post today if you're not familiar! Thanks, Becky! I'm loving my color choices!